In 2016, a working group was formed comprising five Elected Members, three representatives from the RSL Gawler Sub-Branch, two community representatives and Council Staff. Six members of the Working Group are former members of the Australian Defence Force. The Pioneer Park Working Group’s brief for the Memorial was that it provide an important place of reflection for all of us to honour and remember the men and women who served and died for our country in all wars and peacekeeping operations. Renowned artist Robert Hannaford AM was commissioned in early 2017 to design and develop the Memorial. The concept design and maquette of the proposed memorial was developed and considered by the Pioneer Park Working Group and Council in June 2017. Community consultation was undertaken in July 2017. Robert described his vision for the War Memorial as “An abstract, enigmatic form conveying the feeling of service, war, conflict and peacekeeping. 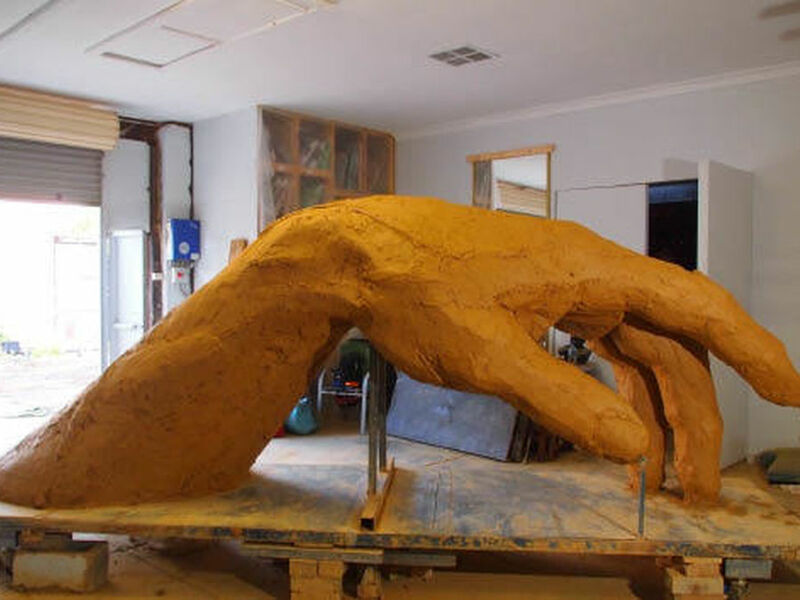 The poignancy of tragedy and loss of life is conveyed in the hand’s form with the bent shape implicitly creating a feeling of subtlety.” Click HERE to view a video of Robert Hannaford AM explaining the concept behind the artwork. The War Memorial was officially dedicated on 11 November 2018, the 100th anniversary of the end of the First World War, also referred to as the Armistice Centenary. 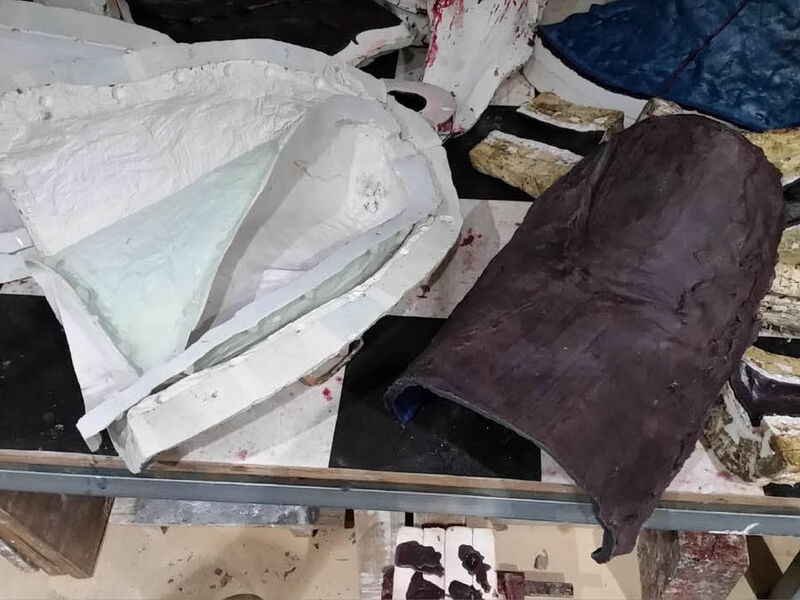 The development of the War Memorial sculpture. 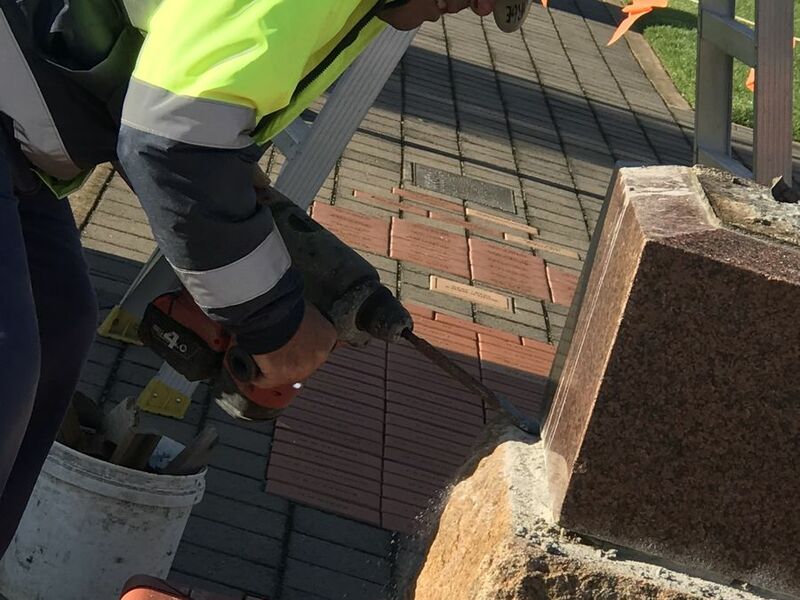 On 18 June 2018, the RSL Memorial was removed from Pioneer Park and relocated to the RSL Clubrooms in Gawler West. 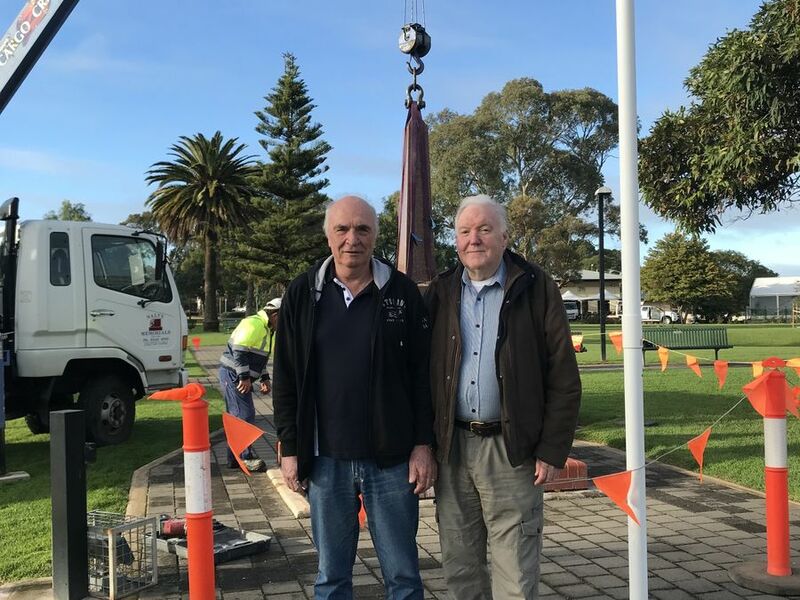 The Town of Gawler and the RSL Gawler Sub-Branch received significant financial support for this project, totalling over $170,000 in external funds.